The Marketer is the headquarters of Empower, a creative multi-media agency in Cincinnati. 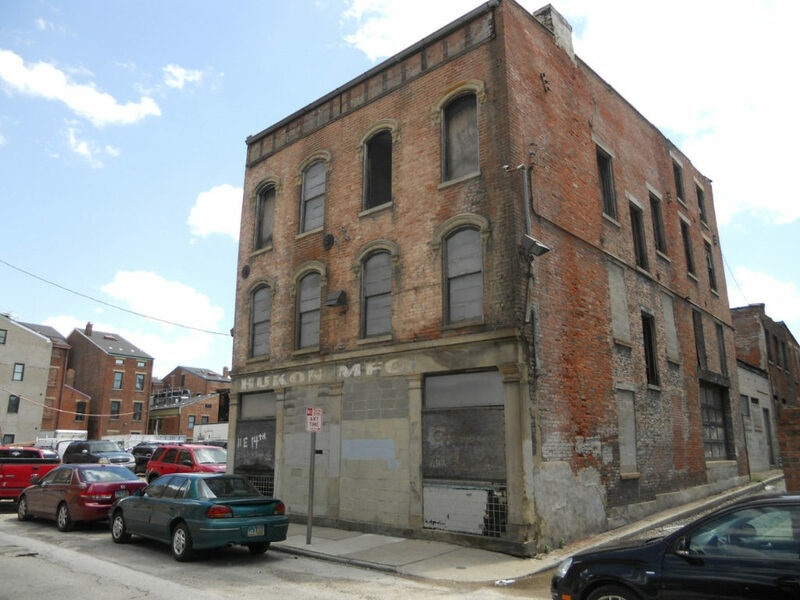 It is also a story of an urban infill building in the heart of Cincinnati’s historic Over-the-Rhine neighborhood. 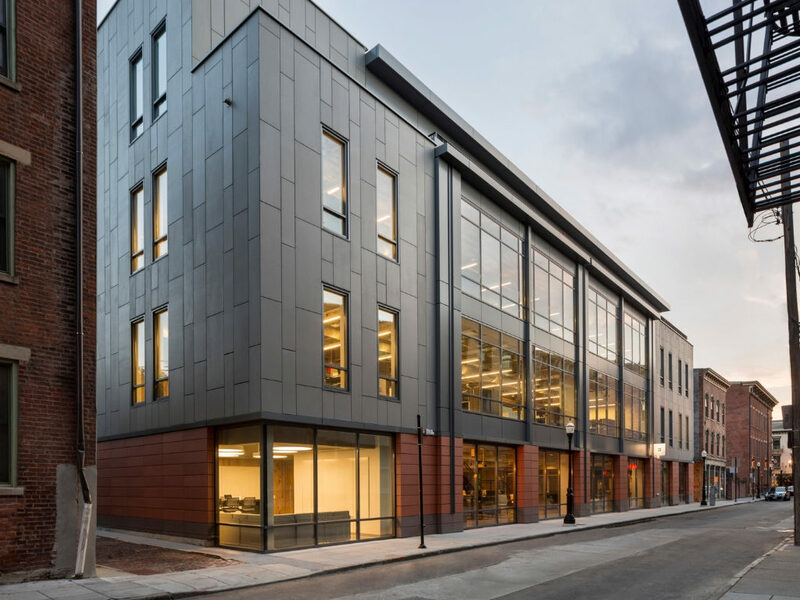 This state-of-the-art corporate workspace represents the final phase of a multi-year, $17.5-million development managed by Cincinnati Center City Development Corporation (3CDC). 3CDC commissioned A359 to design, restore and integrate the historic Hukon building with a new four-story contemporary office block on the adjacent vacant lot. 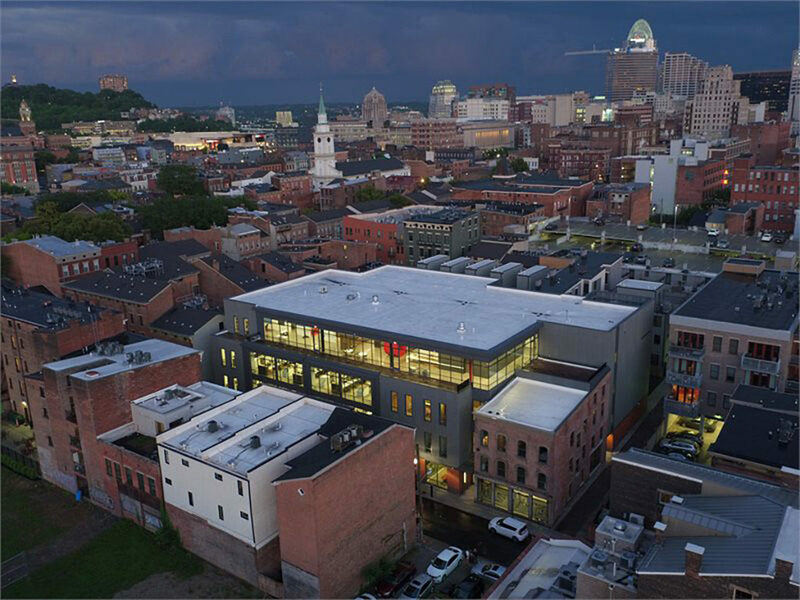 The site of the project, Over-the-Rhine (OTR), is home to A359 offices and is one of our country’s largest, most intact urban historic districts. The sprawling neighborhood is architecturally comparable to New Orleans’ French Quarter and the historic districts in Charleston and Savannah. 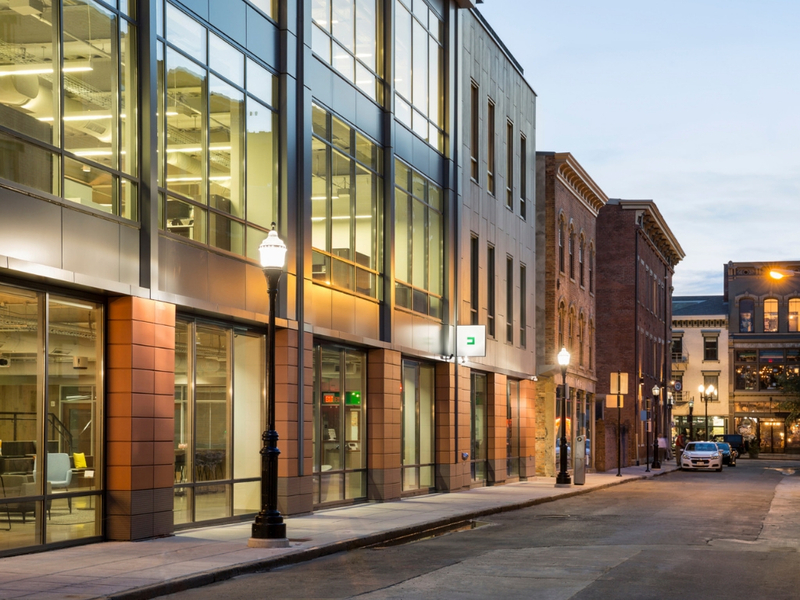 OTR contains more than 1,100 historically contributing buildings. Greek Revival, Italianate and Queen Anne architectural style buildings line OTR’s streets. For this project, the unique size and positioning of the infill site afforded the opportunity for a large office footprint and open floor plan workspace. 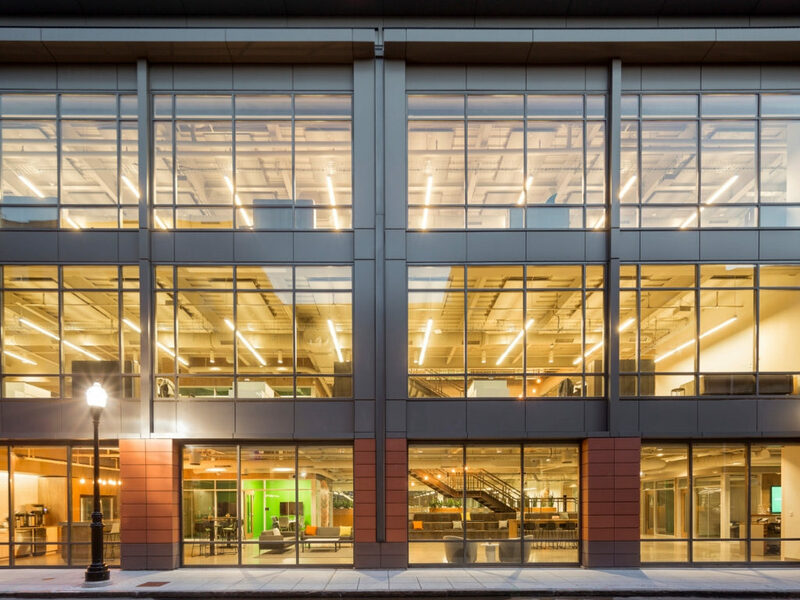 Both larger size office footprints and open spaces are rare amenities in the dense OTR neighborhood. The design concept called for integrating the adjacent 1860s structure into the project. Not only would it mean rescuing a piece of the neighborhood fabric, it also provided the opportunity for historic tax credits to contribute to the project. Originally, the historic building was a German bakery and residence. The brick, limestone and wood structure was later converted into the Hukon Manufacturing Company, a local company specializing in metal spinning. As part of an historic neighborhood, the project challenged A359 to follow strict design and materials guidelines. 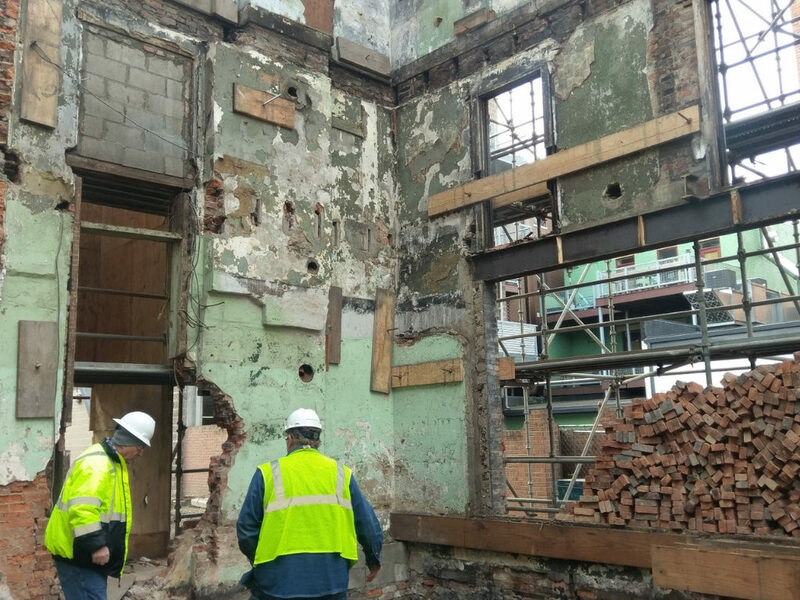 Exterior finishes, roof lines, window openings, setback, height and other materials were carefully studied and reviewed with the local historic conservation board. A359’s concept for the building features a setback at Level 4, allowing the building’s mass to fit the context of the street and align with adjacent structures. This setback also creates a linear outdoor terrace with sweeping views to the north. Circulation zones and mechanical areas were carefully organized to maximize the open office footprints. Contemporary full-height glazing to the north and south provides unencumbered views and daylit work spaces. The concrete panel clad exterior features punched windows that echo the patterning of the surrounding historic buildings. 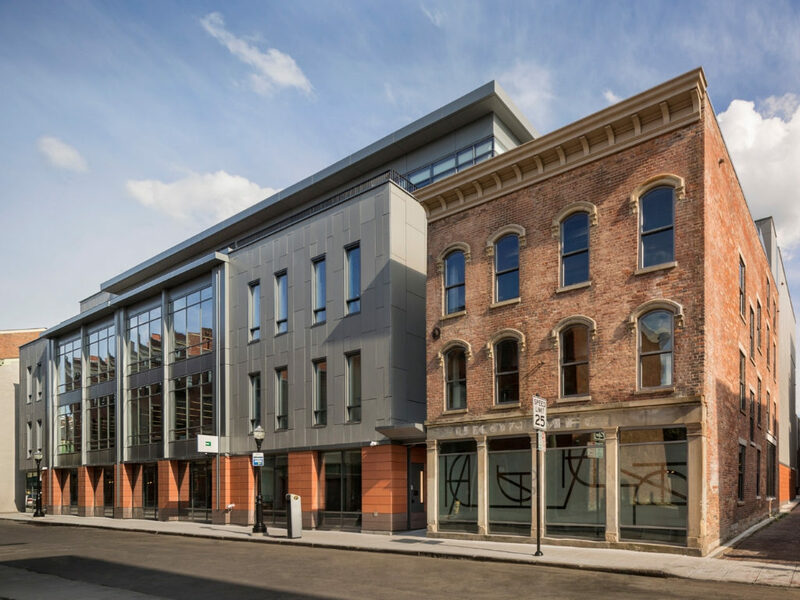 The base of the building is clad with terra cotta panels, echoing the rich brick history of OTR. The transparency at the base of the building at the primary facade provides views to the collaborative office spaces beyond, including the monumental connecting stair. The interior is open and organized to encourage movement on and around the communicating stair. 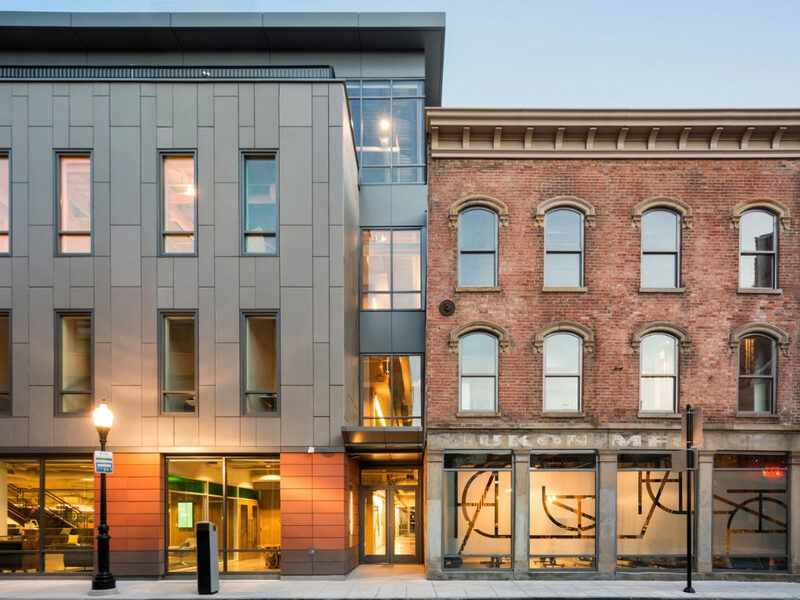 The existing site presented many challenges, not unexpected in an urban infill project. Sitework included installation of rammed aggregate piles throughout the site, which required careful vibration monitoring to avoid damage to adjacent structures. Site grading and foundation excavation revealed abandoned cisterns and a buried vault that needed to be filled. 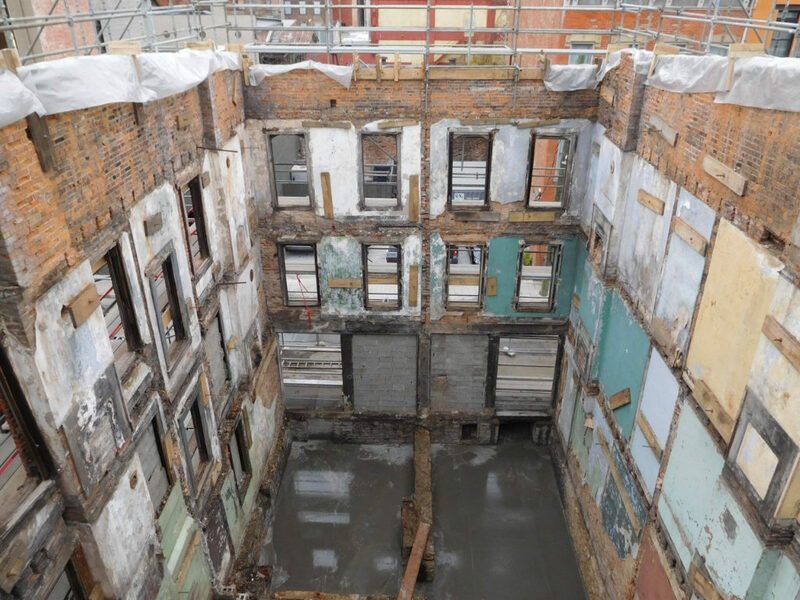 The 150-year-old historic structure had been abandoned for more than 10 years: Windows were missing, the roof was leaking, portions of the interior floors and walls had collapsed. The interior elements that remained were not salvageable. Exterior brick was spalling and cracked and entire walls were significantly out of plumb. Several stone arches and lintels were cracked and damaged. The original bracketed cornice was missing. In order to restore the historically significant exterior, all four sides were stabilized with scaffolding. While the exterior brick was tuckpointed and restored, the interior was completely gutted and replaced with a steel structure. The restored brick exterior walls were then anchored to the new steel structure, allowing for an open floor plan. As architect for the building’s core and shell, A359 collaborated with the engineering teams of Praeter Engineering (MEP), Uzun +Case (structural) and Kleingers (civil). General contractor Oswald Construction Company executed the project. 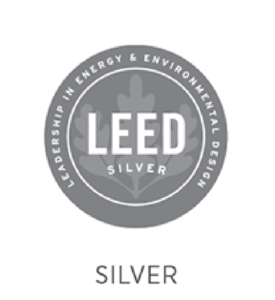 MSA Architects provided interior design and brand identity for the building. Both state and federal New Markets Tax Credits were used to fund the project. 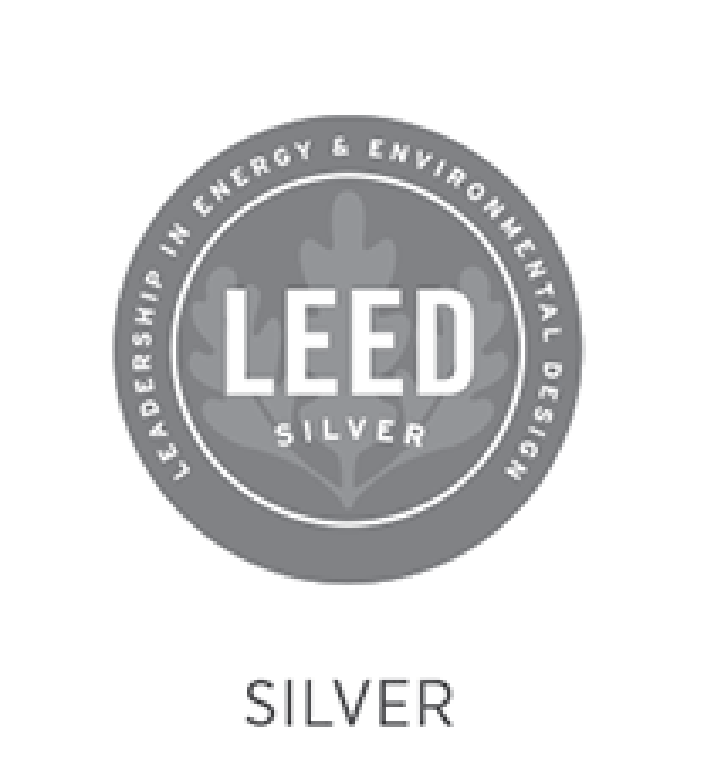 The building achieved LEED Silver Certification, qualifying the project for local tax abatements. The building houses about 150 employees. This very large project is mortised into the block quite nicely. The historic corner building is given its prominence. Empower plays a supporting actor role by acknowledging the significance of the historic building. The project was named 2017’s Office Deal of the Year by the Cincinnati/Northern Kentucky Chapter of the NAIOP Commercial Real Estate Development Organization.